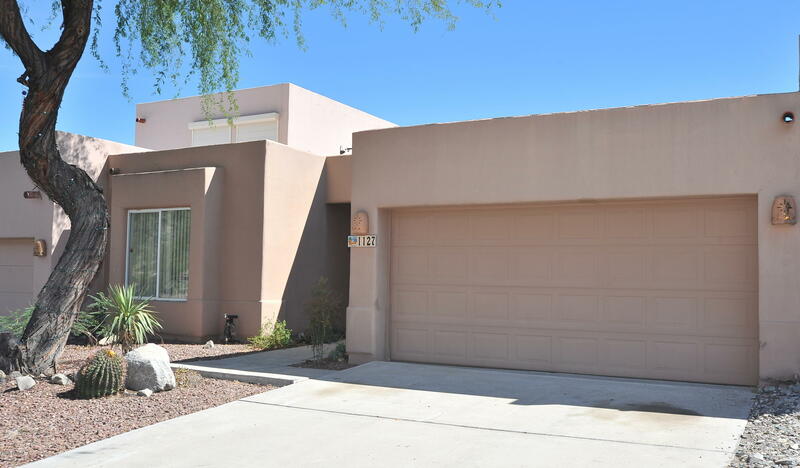 All Antelope Point (1-39) homes currently listed for sale in Tucson as of 04/23/2019 are shown below. You can change the search criteria at any time by pressing the 'Change Search' button below. "Adorable 2 bed/ 2 bath contemporary Starr Pass Townhome tucked within the desirable Antelope Point neighborhood. This home has a 2 car garage & also features polished concrete floors, high ceilings & spacious split bedrm plan. Entry opens into the great room has gas log fireplace with built-in seating space. Kitchen boasts oak cabinet, all white appliances, pantry closet, breakfast bar with seating & adjoining dining area. Master bedroom has walk-in closet & en-suite with dual sinks, garden tub "